And so begins our character DLC wishlist for Marvel vs. Capcom 3. Anyone who wielded a blade and pocketed some firearms in that game was always a part of our three man squad. Dante, Taskmaster and Deadpool FTW! 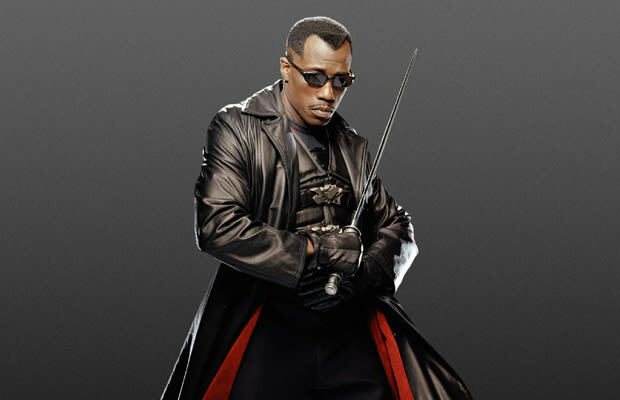 Imagine our disappointment when Blade was relegated to a cameo appearance in Jill's ending. The vampire hunter with superhuman strength, speed and stamina alongside a healing factor that would make Wolverine seem enemic deserves a spot on the roster. Get on that ASAP, Capcom.